Not everyone is equally at risk of heart complications, but having access to cutting edge treatment and technology levels the playing field. 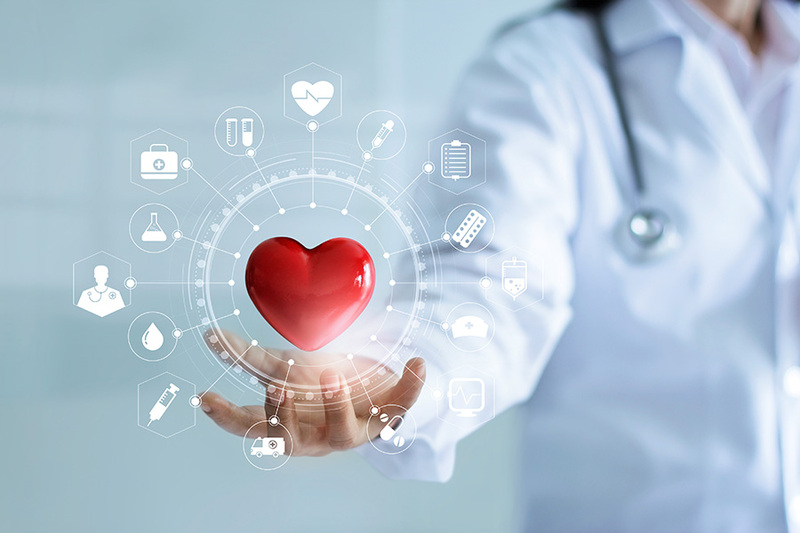 Advancements in all areas of heart health – from devices to procedures – have made treating heart patients a whole new ball game in the past few years. Here are the 5 coolest new innovations that are turning the tide on heart disease. Total Artificial Heart with Backpack-Sized Portable Pump (TAH and Freedom Driver) – File this under “mind blowing” medical facts: You can live without a heart in your chest. It’s true! For patients awaiting a heart transplant or eligibility, doctors can now remove your heart from your body and replace it with a plastic heart, powered by a portable pump. So long as they’re medically stable, wearing this Freedom Driver lets patients leave the hospital, which previously wasn’t possible in the past. Freedom, indeed. Extracorporeal Membrane Oxygenation (ECMO) – Further changing the heart health game is the ECMO – a funny name for something whose job is anything but a laughing matter. This portable heart/lung machine allows for oxygenation of the blood for patients whose own heart and lungs are unable to. It’s a critical “bridge” to transport patients from wherever they’ve gone into distress to a hospital for further treatment. ECMO use is not intended for a sustained amount of time, just for point A to point B functionality. Transcatheter Aortic Valve Replacement (TAVR) – Sometimes big things come in small packages — or in this case, in moderately tiny, catheter-sized packages the size of a drinking straw. Whereas five to 10 years ago, aortic valve replacement had to be achieved by cracking the patient’s chest open, breaking bones and cutting through muscle to stick in the new valve, nowadays doctors can deploy newer valves via catheter (a long, thin tube) – a much less-invasive procedure. As a result, most patients can go home in just a few days. For patients who can’t undergo surgery, this is a game changer. Subcutaneous Internal Cardiac Defibrillator (S-ICD) – Whereas cardiac defibrillator wires used to be put directly into a patient’s heart, for the first time they can now go under the skin (subcutaneous) so they don’t touch the heart. There are, however, some risks associated with this heart operation, as the wires may be difficult to remove. Additionally, patients with S-ICD will have to have the batteries replaced for the rest of their lives. However, some might argue that’s a small price to pay for this cutting edge innovation! Radial Access for Cardiac Catheterization – Here’s an idea that has legs – or rather, that doesn’t anymore. Gone are the days where access to a patient’s arteries for cardiac catheterization used to be through the groin. These days, catheters are so small that this procedure can be done through the radial artery, in the wrist. This allows for less vascular side effects like infection at the site and for greater patient comfort to be able to move more easily. No matter what the innovation, scientific and technological advancements over the past few years have altered the landscape of heart health and heart care.